It’s estimated that over 60 million new pieces of content are published online every second. Just two years ago, that number was only 20 million. Tweets, images, Facebook posts, short videos, and blog comments are a never-ending flood of communication. Articles themselves—and “article” may also include blog posts, for this discussion—are the long-form dinosaur of content in the internet age. Whether you are a freelance writer, a professional blogger, or a marketing pro at an agency, content creation is your lifeblood. That’s obvious. Content must draw attention. Content must engage. Content must compete with the aforementioned flood of communication storming through our respective social media feeds. Too often, we forget the power of being personal when we create that content. The digital world has left us immune to stale, impersonal messaging. Thirty-second TV commercials are dead. Banner ads that shout for us to click are ignored. Content marketing is all the rage, and that content only stands a chance at succeeding at its mission if its personal. I’ve hired dozens of freelance writers in my career. Why? Because like most of you, I can’t produce enough on my own to compete with the needs of marketing a business online. But more importantly, I’ve noticed a dramatic shift in the past five years in what I will accept as quality work from these writers. Gone are the days when 500 words—any 500 words—that were on topic and coherent would suffice. In its infancy, Google was much more forgiving to the bland and the boring. This was due in part to the lack of content online—the lack of people online. When you’re early to the party, it’s easy to stand out. Early social media —and the fact that not everyone had phones with 24/7 access to social media—also did little to curate, critique, or influence the quality meter on content. Now, the flood is on. The only way to compete is to be personal, to be human. You have to use anecdotes that both capture attention and convey that you are, in fact, a real person who knows what they’re talking about. The fools have left the building, and Google is a fool no longer. I’m not one to critique using a quick Google search to find similar stories for inspiration. The problem arises when the writer refuses to take what they read on Mashable and make it personal. It’s helpful to mention putting on headphones to avoid the noise of a neighbor, but if you stop there, it’s lazy and uninteresting. What headphones do you—the writer—use? Why did you choose that pair? What music have you found to be better for focusing, through trial and error? How can we see that you, yourself, have faced this problem and solved it? It’s a simple approach to writing something that actually says something, rather than feeding the flood of online communication with thoughtlessness. Taking a moment to relate to a personal experience, and telling that story, even if it’s only a few sentences, is easier than going through the motions with your bullet points. Isn’t it easier to write about something you know and have experienced? 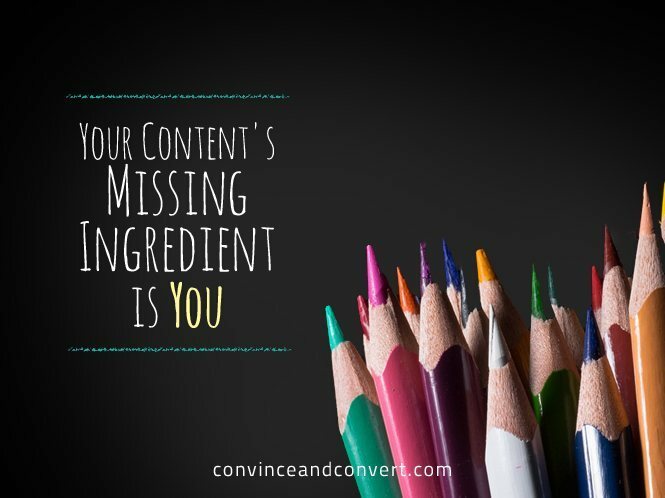 Including “you” in your articles should only make your job easier. Save time. Be finished. Get paid. Do us both a favor, and write your take on the subject at hand. Otherwise, no one will pay attention.